Things you can learn about music from K-ON!! Sometimes you can study something for ages without really understanding what it’s about. Then along comes an anime that simplifies it for you and life is never the same. 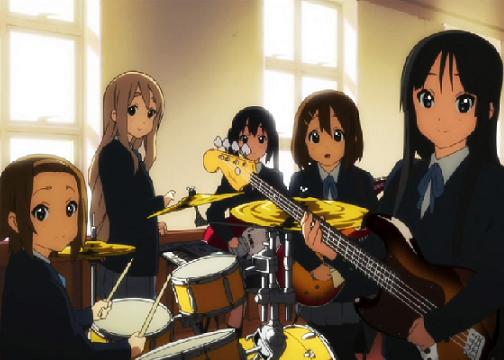 For all the musicians and music lovers, here are some things you can learn from K-ON!! When Yui begins, she’s at a clear disadvantage to everyone else. She can’t play any instruments, sheet music is gibberish to her and her favorite hobby up until then has been rolling around on the ground blissfully. Except for a few child prodigies, everyone starts off knowing nothing about music. As lazy as Yui is, she starts to improve because she has other people depending on her. Ritsu starts out with some experience drumming and passion to make it big but this fizzles quickly as she begins to show her lazy side. Reluctant Mio is the one to gather the team together so practice can be successful. 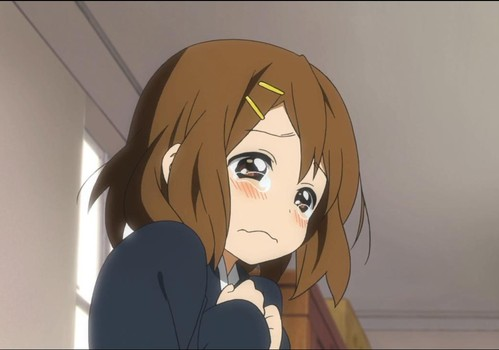 Yui and Ritsu get their motivation and keep going as a result. 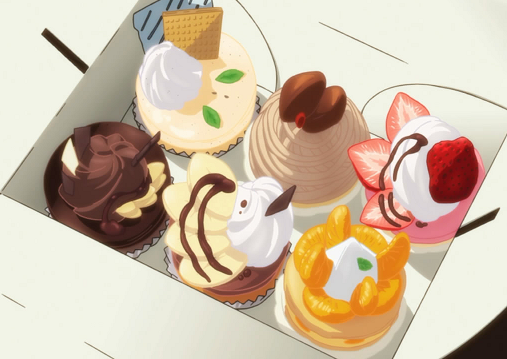 When threats, violence and embarrassment don’t work Mogi saves the day with delicious treats. While these are minor to her (because she’s loaded) they make practice more fun and give everyone a reason to drag themselves to the music room on time. 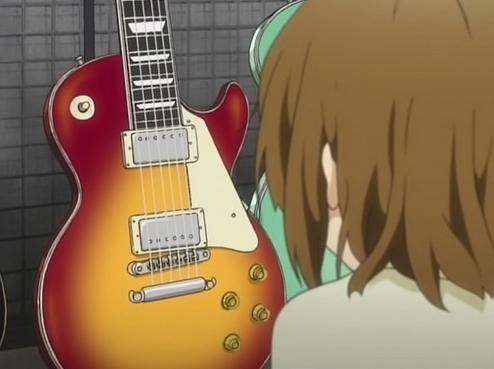 Yui has the great taste (and financial misfortune) to fall in love with a super expensive, stunningly gorgeous Les Paul guitar despite being an amateur. When she lucks out and is able to buy it and she finally has it in her hands she can’t play anything more than a very basic tune. There is no shortcut to being a good musician. Only after she starts to practice seriously does she begin to see the results she desires. 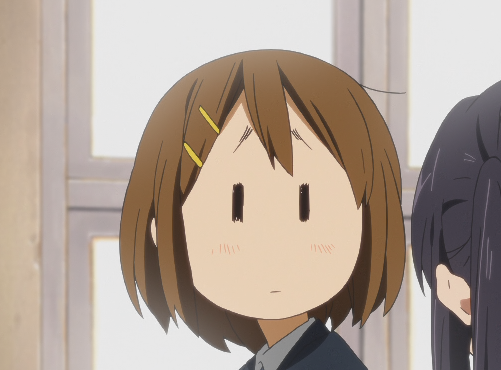 When Yui trains with Sawako Sensei to be able to sing at the school festival, they overdo it completely. Her voice ends up sounding like she’s been chain smoking for a few decades. This can happen and when it happens before a gig, the results can be devastating...unless you have an understudy. 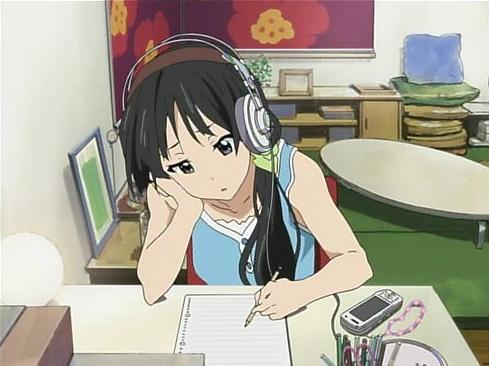 When Mio first starts writing lyrics they are sickeningly sweet. They’re practically gag-worthy. The good thing about them is that they get her started writing in the first place. You have to open up to get the words flowing. And of course there are people who enjoy songs like “My Love is Like a Stapler” or “Fuwa Fuwa Time” (which actually gets more ridiculous when you read it in English). Anime Openings: The Blue Anime Sky is the Limit! Anime has a reputation for being formulaic, and it's not entirely undeserved. Watch enough anime openings and they might start to look the same. Let's talk about a famous anime opening trope—beautiful anime sky and clear water motifs—and see why they are so popular! Nana is one of the best dramatic anime of all time. It revolves around the difficulties in choosing between true love and a passionate career. Read on to find out why it is so popular among viewers. Composed by Susumu Hirasawa, the soundtrack to Satoshi Kon's 2006 masterpiece is just as vibrant, eclectic, and dreamlike as the film itself. With its hypnotic rhythms and larger-than-life soundscape, Paprika's OST will pull you into a world of your own. Get dreamy with the music of Paprika! Amnesia is a mystery about a young woman who's lost her memories; she can't even remember her own name. Unfortunately, this also means she doesn't know who to trust. Let's take a look at the Amnesia OST, where each song gives us a glimpse into her grave situation! Ookami Kodomo no Ame to Yuki (Wolf Children) is a heart-wrenching fairy tale of two wolf-like children and their brave mother. It has a beautiful plot, as well as an amazing soundtrack. Let's take a look at some of the most prominent songs from the OST!